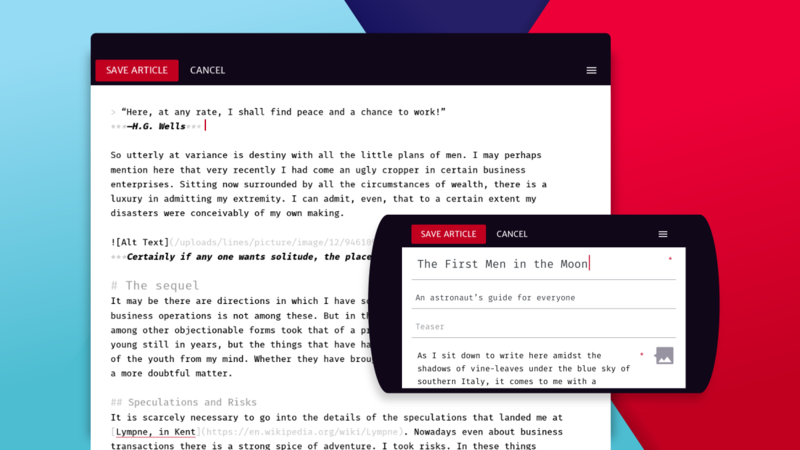 LINES is an open source blogging platform designed for mobile publishing needs: You manage your articles in a clear, responsive backend, you write with a distraction-free markdown editor, your publishing process is dead simple. 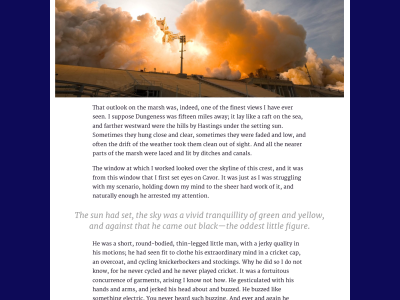 Readers enjoy your writing perfectly on all screens. LINES is an OSS project: the code and all the sources are on GitHub and we have a gem version ready to install at RubyGems. Have a look at the readme, fork LINES, or install the gem. Writing and editing are complex. 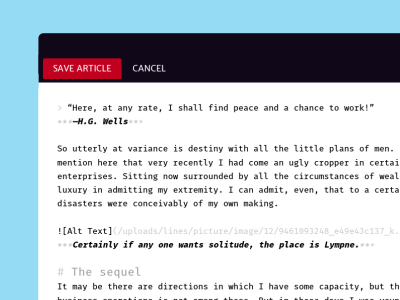 Our sophisticated markdown editor helps you think well while keeping your mind on the text. 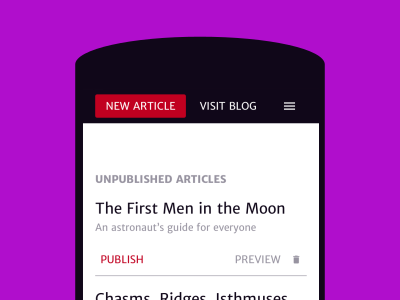 Organize, preview, and publish your articles from anywhere, no matter if you’re on the road with a smartphone or on the big screen. 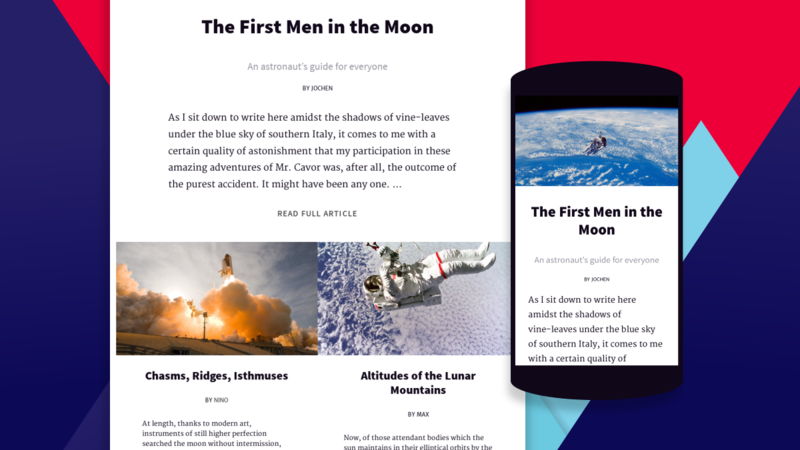 Shaping text so it reads well is a science, especially when it must be optimized for any screen size. We studied this so you don’t have to. 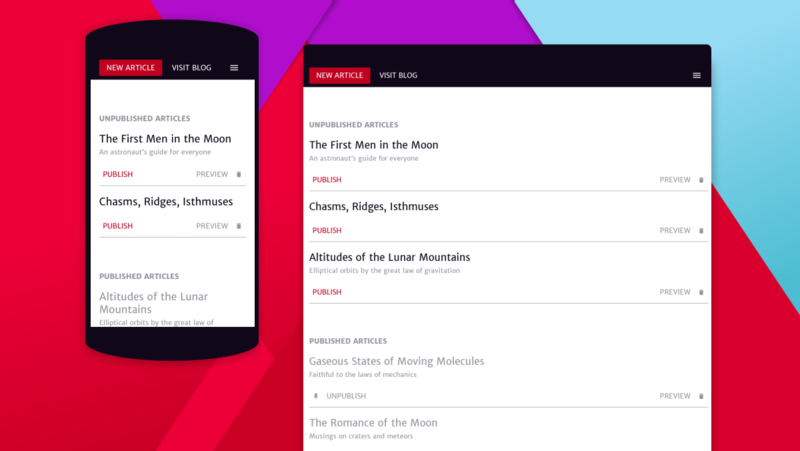 We built LINES as a plugin because we couldn’t find a Rails system that served our responsive publishing requirements. Customizing LINES to your needs and preferences shouldn’t be a problem for you as a developer, because we adhered closely to best practices and code conventions. The complete documentation is available on RubyDoc.info. We’re constantly working on the blog platform, maintaining and keeping it up-to-date on GitHub. LINES is an open source project for a reason. It needs people, work, and time to mature. You can help make this project great by giving us feedback, telling us about your concerns, and voicing questions.